Finishing carpentry is the last step in the remodeling or carpentry process. It deals with the aesthetic part of carpentry which involves the installation of finish woods, trims, crown molding, wainscoting, stairs, wall paneling, windows, built-in bookshelves, fireplace surrounds, and other design elements. Although finishing carpentry can take years of practice as well as proficient woodworking skills, many homeowners have taken on this task as a DIY project in their own homes. As long as you have the know-how and the right tools, finishing carpentry can be a fulfilling job. Scribing tools are a very important thing for a finishing carpenter to own. There are going to be many situations where you will need to mark things off properly. The scribing tool is going to allow you to easily scribe cabinet trim, countertops, tile, and much more. This can ensure that your cuts will turn out perfectly and will generally make your life a lot easier. Some people like to make their markings using only a carpenter’s pencil, but having this scribing tool is going to make your job a lot quicker. It is capable of staying parallel to the surfaces that you are working on. It can really make cutting tile and installing backsplashes a lot simpler than it would otherwise be. Even designing floors will be a lot easier when you have a reliable tool such as this on your side. It will remain in a perfect position and you can make all of the proper marks. The grip on this scribing tool is adjustable which makes it even more versatile. It will be able to hold any type of normal or standard pencil tightly. This is a tool that is built to last as well. It has been made out of a very rugged polymer that will stand the test of time. Remember that this tool does not come with a writing implement. You will need to bring your own pencil in order to make the markings properly. It will be easy to get the grip on your scribing tool to hold your standard pencil, so you shouldn’t have any problems getting used to it. It’s a great tool that will prove to be a regular ally during your finishing carpentry jobs. Of course, being able to measure things properly is a big part of any type of carpentry job. Whether you are working as a finish carpenter or not, it is going to be imperative for you to have the proper measurement tools handy. You need to be able to measure things out accurately in order to avoid costly mistakes. The most convenient tool for you to purchase will undoubtedly be a tape measure. A good tape measure is going to be capable of measuring things up to 25 feet, at least. You will also be able to carry a tape measure around with you all day. They’re easy to fit in your tool belt and they can also be attached to your belt loop. You will be able to have access to it whenever you need to take a quick measurement. This tape measure is undeniably easy to use. You simply extend the measuring tape and it will lock into place while you take your measurements. After you are finished, you can hit the button on the tape measure to allow the tape to retract back into its casing. It is a simple and effective tool for you to make use of. As a finish carpenter, there are going to be situations where you will need to alter pieces of wood. You may need to fit a door to a frame properly or you might have to alter a table leg to ensure that it is perfect. This is why it is convenient to own wood rasps. For those who aren’t in the know, wood rasps are essentially files that are meant for woodworking purposes. This set of wood rasps contains three different tools. You will have access to both flat wood rasps and curved wood rasps. Each of these is going to come in handy at different points in time. They are eight inches long and will work fantastically to help you file down wood to where you need it to be. Each of the wood rasps will have its own packing bag that it will fit into as well. This is very convenient for storing the tools when they aren’t in use. If you are going to be working on cabinets, then having these wood rasps around is going to be a must. You will find a use for them most assuredly and you will be glad to have them around. When you are finishing up work on a door, you usually need to get some help to hold things into place. If you have the right tool available to use, then you won’t need to grab an extra set of hands. Seeking out a door and board lifter will allow a door or a board to be lifted into place. This will allow you to do what you need to do without worry. Whether you are setting the hinges properly or if you are simply trying to do some work on a board, this is going to be very useful. It is a reliable tool that will allow you to effectively work by yourself. Not every finish carpenter has the luxury of working alongside others. Tools such as this one can make up for that lack of extra help, making it simpler to finish the job. 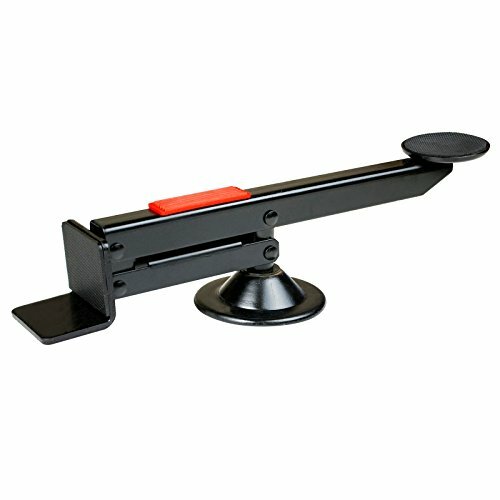 This door and board lifter is a cost-effective way to lift doors, panels, and drywall. It is strong enough to support one-hundred and sixty-five pounds of weight, so you can tell that it is very sturdy. You can activate this tool with your foot, so it’s convenient to use when your hands are busy at work. It can even rotate 360 degrees, so it is truly a versatile must-have tool. There are many times during a carpentry job where you will need to use a screwdriver. You are going to encounter so many situations where you need to screw something into place. Different types of screws call for different types of screwdrivers, and this can be a little bit inconvenient. If you want to make your life just a bit easier, then you should consider seeking out a multi-tool screwdriver. 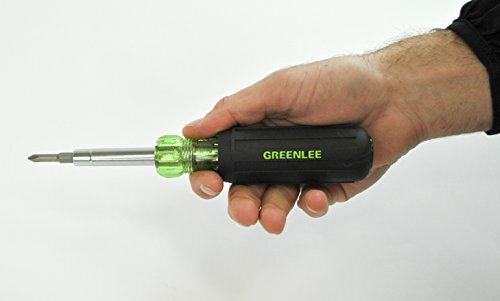 A good multi-tool screwdriver is going to be able to give you access to many types of screwdrivers all in one convenient tool. This screwdriver allows you to change out the bits to match whatever needs that you have at the time. You can attach a flathead bit when you need it and then change it out for something else. There are long screwdriver bits and short bits for use in tight spaces. Keeping one of these multi-tool screwdrivers around on your finish carpentry job is going to be smart. You will be able to reach for it when you need to use a screwdriver. No matter what situation you are faced with, you will have the right tool for the job. It’s a simple fix to your problems that is definitely worth the price. These tools aren’t even that expensive, so you’ll be able to get one very easily. Multi-tool screwdrivers are preferable to standard screwdrivers for the purpose of finish carpentry. You want to have the versatility that they can provide you with. It will make your job go that much quicker when you don’t have to search around for the proper screwdriver. A standard claw hammer is likely something that you already own. If you don’t, then you should definitely pick one up as soon as possible. A claw hammer is going to be a tool that any carpenter will use every single day. It is one of the most crucial tools to own when you want to do the job. Finish carpenters are going to need to have their claw hammers ready to swing as well. You will need this tool to be able to drive in nails and pull up boards. It’s something that you will always want to keep around at all points of the job. You never know when you might need it to make some adjustments. Claw hammers are among the most common types of tools on the market. You can buy a claw hammer at pretty much any department store. They are affordable tools that will see a lot of use. The claw hammer being shown here is pretty standard overall, featuring a durable steel head and a wooden handle. The ash handle of this hammer really does feel good in your hands. It shouldn’t be too cumbersome to swing this hammer either, as it is pretty lightweight. You’ll be able to use it throughout your workday without feeling too fatigued. A chisel is another tool that is going to be invaluable when you work as a finish carpenter. You need to be able to use a chisel to finish up many projects. It can be an important tool for removing tile and it is also important in woodworking projects. This tool is fairly versatile, making it something that will come in handy during many jobs. A high-quality chisel is also going to be quite useful for framing. If you don’t have a chisel or a set of chisels in your toolkit, then you will want to consider purchasing some. This chisel being shown off here is a fine example. It is completely hand-forged and will be a reliable tool for you to make use of. Tools that are made to this high standard will last you for a very long time. You will be able to make use of this tool for many years and it will always work properly. You may want to use it in conjunction with a rubber mallet in certain situations. It will be a valuable part of your toolkit, guaranteed. Utility knives are common tools that carpenters will keep around. When it comes to finishing carpentry, you will need to be able to make cuts when installing certain things. You also may want to have the utility knife around to simply open certain packages. It’s a tool that is undeniably useful and simple to purchase. These types of utility knives are very affordable. You won’t have to pay much money at all to purchase several of these. You can change out the blades once they have dulled, too. They’re simple to use and very effective as well. If you need to cut something in a tight space, then having a utility knife will be important. These knives are short enough to fit into small spots. You’ll be able to use their sharp blades to make the cut effectively and then you can go about the rest of your business. It’s designed to be easy to use, so you’ll have a good time getting used to this knife. Whether you need to cut some carpeting or if you simply want to keep it around to help you open up packages, having a utility knife will be convenient. It is an essential part of the toolkit that you will want to purchase. You’ll be able to find utility knives at most stores without any problems. It’s always smart to ensure that you have tools that will make your job go as smoothly as possible, so buy one today. You will also want to own a good pair of end cutting pliers. This tool will allow you to easily cut wires and it can help you to trim plastic parts as well. You’ll run into several situations where having a good pair of end cutting pliers will prove to be essential. These should be a regular part of your toolkit so that you’ll be prepared when the need arises. 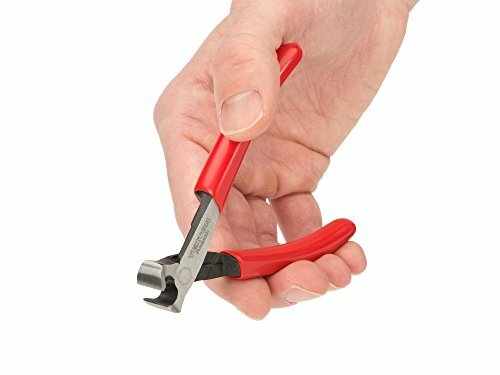 These pliers are easy to use, too. The handle is spring assisted, making it a lot easier on your hands overall. If you wind up needing to make many cuts over the course of a workday, then owning this pair of pliers will be really nice. It will reduce your fatigue and just make the experience much more pleasant overall. The blades of these pliers are very finely beveled. They can produce a semi-flush cut that will work well for your purposes. You’ll be glad to have these as a part of your toolkit. They’re affordable and you will be able to use them for a long time. Owning a marking gauge will help you to mark off pieces of wood that you are working on. When you are trying to finish up a project, it is important to be able to stay as accurate as possible. Making detailed markings is going to allow you to stay on task and avoid any mistakes. A good marking gauge is simply going to make the process simpler than it would otherwise be. Sometimes people use this marking gauge alongside their scribing tool. Others simply carry a mechanical pencil along with them in order to make the marks while they hold the marking gauge. Either way that you decide to go about it should be fine. The important thing is that you are capable of making precise marks in order to stay accurate. This marking gauge is seven inches in length. It is perfect for making quick marks in order to stay on task. You can slide it where you need it to be and you can always rely on the accuracy of the measurements. It is constructed out of fine brass and stainless steel too, meaning that it is very durable. A square is another important measurement tool that you should know about. Having a square is going to help you to make sure that your measurements are as accurate as possible. This is great when you have complex woodworking projects to do. It will be handy for many measurement needs when you’re working as a finishing carpenter. This square here is made out of aluminum. You can also find some squares that will be made out of wood, but metal construction is much more common in the modern era. The visibility of the measurements is fantastic, so you will never feel like you’re going to make a mistake. The markings have been stamped deeply, allowing them to last for a very long time. This aluminum is made in such a way that it will not rust or corrode. You will be able to make use of this tool for many years and it will always prove to be useful. When you want to maintain a high level of accuracy during your jobs, it’s smart to own a square. You’ll always have the right information and will avoid making mistakes. Clamps are important when you need to hold something in place. You will be using clamps for many different purposes. Even when you are simply working on building something, being able to hold it in place with a clamp is a must. If you don’t have the right clamps for the job, then things are going to be much more difficult than they need to be. This face clamp here is perfect for when you are trying to finish a job up. You can use it to secure the joints while you are screwing things into place. Everything will remain secure and you will be able to get the job done. Pocket-screw joinery will be as simple as can be when you have a good face clamp such as this. You will likely want to purchase other types of clamps for use in your jobs as well. As an example, purchasing clamps to help you hold cabinets in place while you are hanging them can be very handy. If you purchase the proper clamps, then any job is going to be more manageable. Remember to always buy the right tools for the job and your finishing carpentry job will go well. A spokeshave is something that you will use when you are finishing up making something such as a chair or a table. You will be able to shave off bits of wood that you need to take away. All of the pieces of your chair or table must fit properly in order for things to turn out perfectly. The spokeshave can help you to shape your piece of wood just right. The spokeshave that is being shown here will help you to make the process simple. It features adjustable cutters that can be moved around to get the right cut depth. You can even replace the blades on this spokeshave if you think that they have become too dull over time. This is a good tool that you will absolutely want if you are crafting tables or chairs. This is the perfect tool for shaving curved pieces of wood. If you want to shape a flat piece of wood, then you may be better off with one of the wood rasps mentioned above. Regardless, this tool is going to be very useful to you. It will allow you to make the fine chairs and tables that you want. It will be very beneficial for a finish carpenter to own a sliding t-bevel. These handy tools are capable of helping you figure out the right angles for the project that you’re working on. When you’re trying to finish everything up correctly, you need to be sure that all of the measurements are correct. Having a sliding t-bevel around will make getting the angles just right a simple task. This t-bevel will also work excellently as a depth gauge. You’ll be able to use this tool for many different types of woodworking and construction jobs. It has been designed with accuracy in mind, so you can rely on it to give you the proper information. It’s really easy to line the t-bevel up too, so you won’t have any issues when trying to figure things out. The t-bevel that is being shown off here is nine inches long. It has an etched stainless steel blade and a very beautiful looking hardwood handle. It has brass round ends, as well, with a brass binding that will prevent it from twisting. This is a great product that will be a useful addition to your toolkit.